Our professional, dynamic websites engage, educate, and empower your clients and much more. Our fully customizable themes allow your practice to have a highly brandable website without the expense of a custom site. 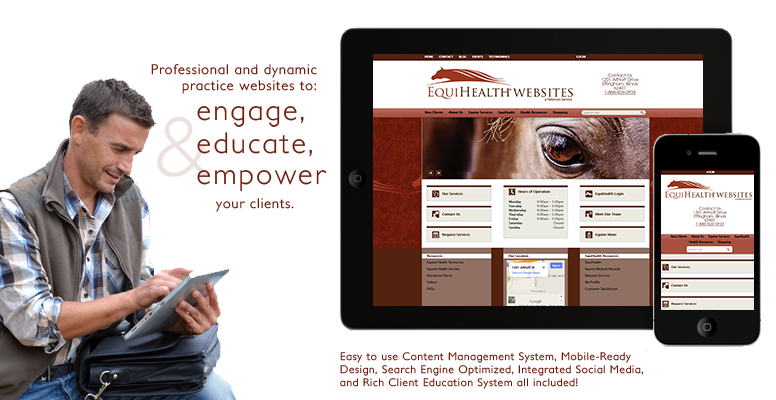 With EquiHealth Websites you own your domain, giving you maximum branding and portability. Our Powerful and Easy to use Content Management System (CMS) sets the industry standard and allows your practice to make changes on the fly. The effective website architecture and tools equip your practice to improve and maximize Search Engine Optimization (SEO). 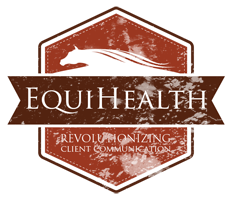 And EquiHealth is built right in to your website allowing horse owners to access not only their medical records but also the wide array of client education content available via articles, videos and interactive animals.